ALL but one teachers’ union have declared that their members would today join a national strike called for by Zimbabwe Teachers’ Association (Zimta) and the Progressive Teachers’ Union of Zimbabwe (PTUZ) demanding a pay rise. The two biggest teachers’ unions decided to go on strike starting today after the Apex Council, a negotiating forum for civil servants, retreated on its earlier decision for industrial action, saying they were open for further dialogue with government. PTUZ president Takavafira Zhou said only the Zimbabwe National Teachers’ Union (Zinatu) had decided not to go on strike. “All teacher unions are embarking on strike starting tomorrow [today], minus Zinatu. We have received reports of intimidation by Zanu PF and some [Central Intelligence Organisation operatives] CIOs. We have people who are going in schools telling our teachers that if they don’t report for duty, they will be fired. But we are happy that the resolve among our people is very high,” Zhou said. 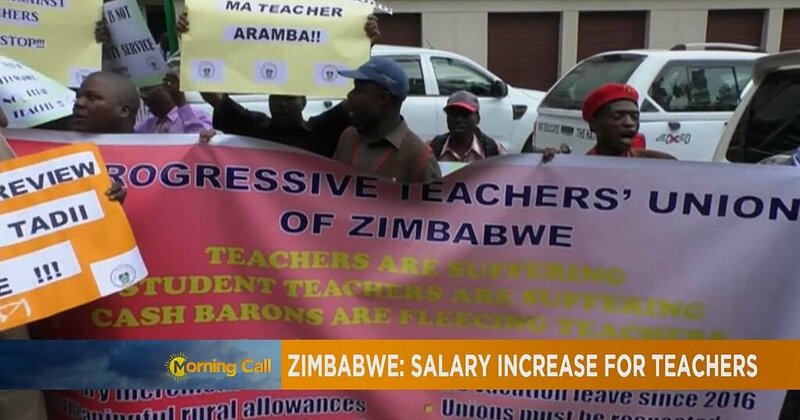 “Nine teachers’ unions, which fall under the Federation of Zimbabwe Educators’ Union — PTUZ, Zimta, Amalgamated Rural Teachers’ Union, Zimbabwe Democratic Teachers’ Union and Professional Educators’ Union of Zimbabwe are now on strike. We have been joined by Zimbabwe Rural Teachers’ Union and others,” Zhou said. Zimta boss Sifiso Ndlovu confirmed the job action. But it is not the same case with other civil servants as their union leaders said they would engage government for better salaries. After the National Joint Negotiating Council meeting which failed to deliver a fresh deal for civil servants last week, the Apex Council met with members, trading accusations that some of them were being used by agents against President Emmerson Mnangagwa’s regime. Civil servants are demanding over $1 700 for the lowest paid worker, but government offered a maximum of $100 pay hike for the lowest paid worker. Government yesterday, in a veiled threat, announced that it had in excess of 19 000 unemployed teachers and 1 500 who were on the waiting list wanting to be absorbed into the education sector. Through the Public Service Commission, government said it was looking at methods to accommodate the unemployed educators and plans were already underway to send some of them to neighbouring countries. Using the same modus operandi, government in April last year dismissed 16 000 striking nurses and called on retired and unemployed healthcare workers to apply for the jobs, only to make a U-turn a week later, withdrawing the dismissal letters and also employing some who had been without jobs. This was after the nurses rejected a plea from government to return to their posts, while negotiations for a salary adjustment continued.